150A Power Analyzer. This logger can analyze the Battery condition, capacity, current draw, motor rpm and the run time of your boat in the water and on the bench. This will make setup of your boat an easier task without guessing. This has a maximum amp draw of 150 amps, Max 26 volts. This is fully compatible with the Etti 45a Navy, Etti 70a Navy, Etti 90a Navy, Etti Race 150, Etti Race 150 bec. At this time this can not be used with the HV100. 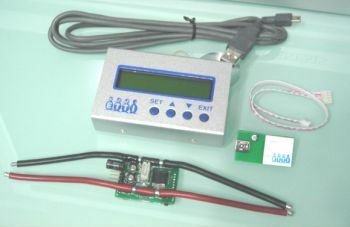 This can also be used with other esc's to log voltage, current and other functions, but the rpm will not be logged.